The 4th Tribe Static Addicts is a music group with three conscious artists: Malaki Macabee, Yah’ki and Zebadiah Boaz. These three Saint Louis, Missouri natives have been inspired my vibrational sounds since their youth, but is now using their musical gifts to wake up the chosen seeds of the Most High Yah! The 4th Tribe Static Addicts was formed in 2007. All of the members were rapping prior to meeting each other before they came into the truth. The group wasn’t always known by that name. 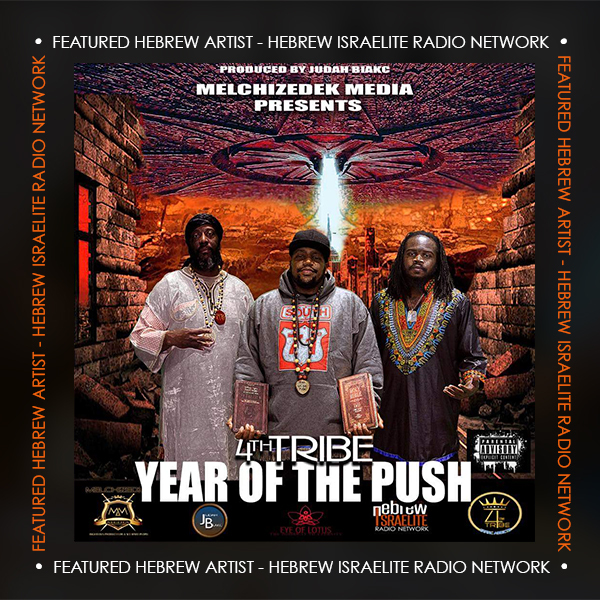 It wasn’t until hits such as “Soul on It” and “We Don’t Party Like a Rockstar” that the group chose the 4th Tribe, which was inspired by the name of the fourth son of Jacob/Israel, called Judah/Yahudah meaning, “Praise Yah”. The original members of the 4th Tribe Static Addicts were Rawchaa Gabar, Obadiah Israel, Malaki Macabee, Jeremiah Israel, Chayim Israel (Jakada Macabee), Yahkanon Ben Israel, and Sereyah Israel. With the untimely death of Rawchaa Gabar, meaning spiritual warrior, in September 2010 during the week of the Feast of Tabernacles, the 4th tribe lost a brother, comrade and major contributor to this kingdom/truth music. They continued through the spirit and power of the Most High to raise the standard when it came to kingdom music. With hits like ”Before the Slave Ships” and ”Names on Them Gates,” they continued to inspire the Israelite nation to be righteous and to despise wickedness. Our motto is ”Make Righteousness the New Trend” and as recent 2014, with many 4th Tribe members caught up in the struggle of everyday living, the group has had a face lift with new members spitting that fire for the truth with Ahki Yahki, the young spiritual sniper, Zebediah Boaz, The Hebrew “Nate Dogg/Issac Hayes, and even features from 4th tribe affiliate and Sons of Light member, Hoshea Ban Israel. The 4th Tribe is still raising the standard and the bar when it comes to Kingdom Music with recent hits such as ”Thief in The Night” and ”Horse’s Bridle”.